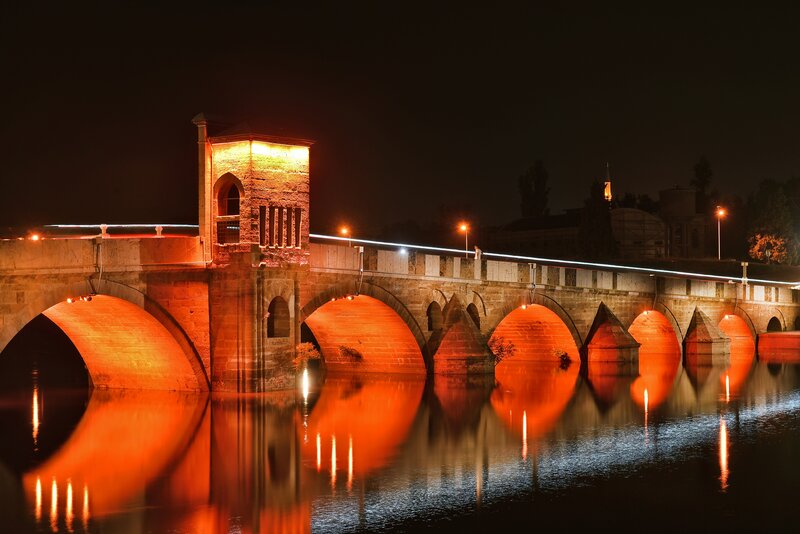 Edirne, Turkey - Royal Philips (NYSE: PHG, AEX: PHIA), the global leader in lighting has illuminated yet another historical monument as part of an initiative to enhance the identity of cities in Turkey. 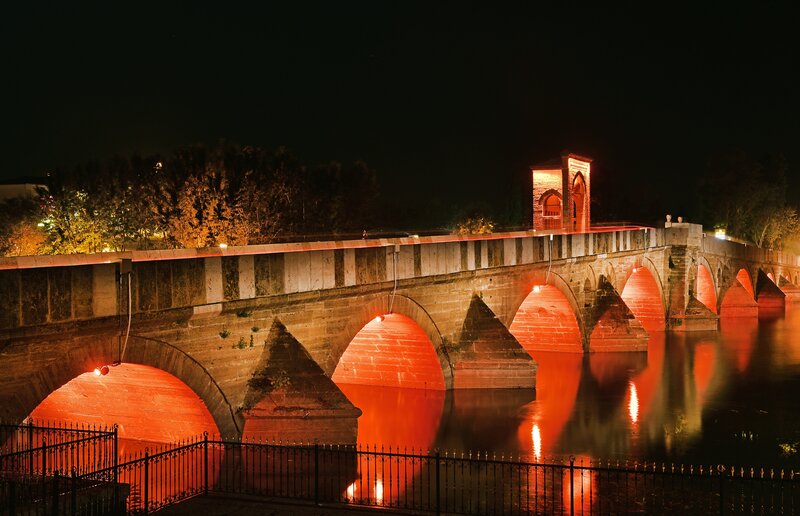 The project, jointly organized with the Governor’s office of Edirne, was launched to reveal the architectural details of the bridge accurately with no damage to its historical features. The connected lighting system from Philips was installed with no screwing or drilling activities, thus preserving the structural integrity of the bridge. Furthermore, the LED light fixtures have been specially selected for their weather-proof qualities, and resistance to floods and inundations. The lighting was installed to bring the arches into the foreground as the most important architectural feature of the bridge. The inner and outer dome of the Kitabe Pavilion in the middle of the bridge was also illuminated to further highlight the cultural and historical value of the bridge. 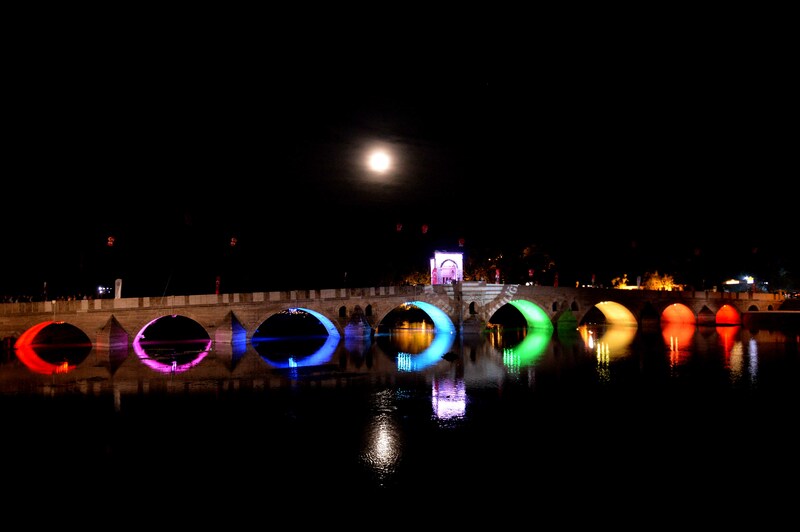 The LED lighting system offers a palette of rich colors with which to light the pavilion and the arches.